The Connecticut Sports Writers’ Alliance on Friday announced its five Gold Key Award recipients, who will be honored at the Alliance’s 78th-annual Gold Key Dinner, set for April 28, 2019, at the Aqua Turf Club in Southington. Former NBA players Chris Smith and John Bagley, St. Thomas More boys basketball coach Jere Quinn, Super Bowl champion assistant coach Chris Palmer and ESPN founder Bill Rasmussen will comprise the Class of 2019. Palmer, 69, is a former quarterback at Immaculate High School in Danbury and Southern Connecticut State in New Haven who spent 22 years as an assistant coach in the NFL, plus two seasons as head coach of the “expansion” Cleveland Browns in 1999 and 2000, after the original franchise moved to Baltimore. His career highlight was as quarterbacks coach for the New York Giants, with whom he earned a Super Bowl ring in 2008 as the Giants upset the New England Patriots, 17-14 in Super Bowl XLII. His protégé, Eli Manning, earned Super Bowl MVP honors in that victory. He is currently athletic director at the University of New Haven. Bagley, 58, was part of two Class L state championship boys basketball teams at Warren Harding High School in Bridgeport before heading to Boston College. He earned Big East Player of the Year honors in 1981, was a third-team All-American in 1982 and was the 12th overall selection in the first round of the 1982 NBA draft by the Cleveland Cavaliers, embarking on an 11-year professional career with Cleveland (1982-87), the New Jersey Nets (1987-89), Boston Celtics (1989-93) and Atlanta Hawks (1993-94). He returned to coach the boys basketball team at Harding in 2017. 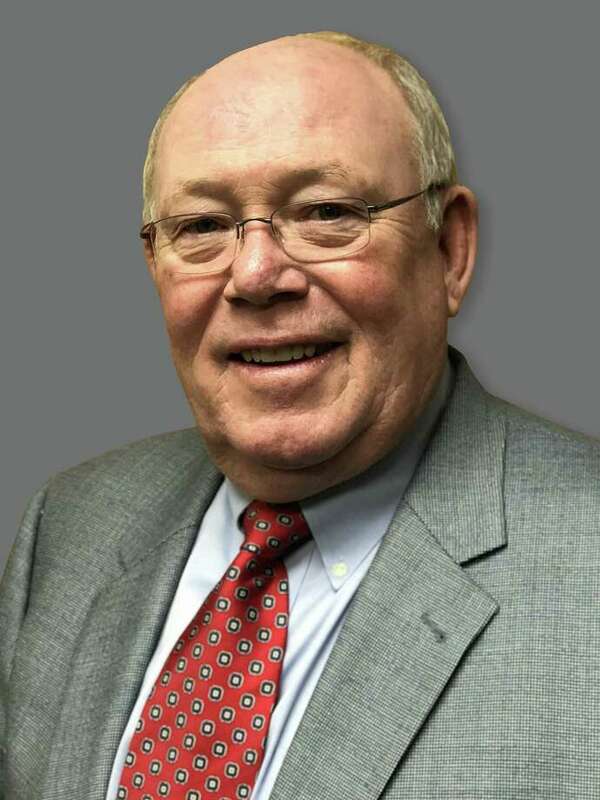 Quinn, 63, graduated from Central Connecticut State College in New Britain in 1977, serving as basketball captain his final two years. He still holds the school record with 227 assists in 1975-76. He was hired as boys basketball coach at St. Thomas More School in Oakdale, and has never finished below .500 in 40 seasons. More than 250 of his players have earned college scholarships, and more than 50 have played professionally, including five in the NBA. On Jan. 24, 2018, he collected career win No. 1,000 at Worcester Academy. His teams have won the 2011 National Prep School championship and five New England championships, as well as 16 other New England finals and two other national finals. Smith, 48, graduated in 1988 from Kolbe Cathedral High School in Bridgeport, where the Cougars won the Class M state boys basketball championship in 1985 and placed second in 1987. He stayed in-state to attend UConn, where he remains the all-time men’s basketball scoring leader with 2,145 points, averaging 16.9 points per game. As a sophomore in 1989-90, he was the Big East Tournament MVP, leading the Huskies to the Elite 8, and he was a first-team All-Big East selection in 1992. He was a member of the U.S. national team that won a silver medal at the 1990 Goodwill Games and bronze at the FIBA World Championships the same year. He was drafted in the second round by the Minnesota Timberwolves in 1992, and played with them for three seasons. He played six more years professionally in the CBA and Europe before retiring in 2000, and he was named to the UConn Basketball All-Century Team. Rasmussen, 86, had been communications director and a broadcaster for the New England Whalers of the World Hockey Association for four years when he and most of the front office staff were fired following the 1977-78 season. Contemplating his future with his son, Scott, the then-Enfield resident came up with a novel concept: an all-sports network in the burgeoning cable television industry. On July 14, 1978, the Entertainment and Sports Programming Network (ESPN) was incorporated, and the network launched on Sept. 7, 1979, going on to become the global leader in sports programming. Sports Illustrated recognized Rasmussen’s significance in the sporting landscape in 1994, placing him 29th on a list of “Forty For the Ages,” a ranking of the “40 individuals who have most significantly altered or elevated the world of sports in the last four decades.” Rasmussen ranked higher than legends such as Pele (30), Bobby Orr (31), Sugar Ray Leonard (32), Nolan Ryan (34), Peggy Fleming (35) and Julius Erving (40). The Gold Key Dinner was inaugurated in 1940, with baseball legend Connie Mack and golf superstar Bobby Jones among the initial recipients. The roster of honorees since then reads like a Who’s Who of Connecticut sports — Joe Cronin, Julius Boros, Willie Pep, Andy Robustelli, Lindy Remigino, Floyd Little, Joan Joyce, Carmen Cozza, Otto Graham, Calvin Murphy, Joe Morrone, Gordie Howe, Bill Rodgers, Tony DiCicco, Geno Auriemma, Rebecca Lobo, Brian Leetch, Kristine Lilly, Marlon Starling and Dwight Freeney are just a few of the past Gold Key winners. Tickets to the Gold Key Dinner are $75 apiece, and may be reserved by contacting CSWA President Tim Jensen of Patch Media Corp. at tim.jensen@patch.com or 860-394-5091, or Vice President Rich Gregory of The News-Times at rgregory@newstimes.com or 203-705-8625.